County-music legend Dolly Parton has always been known for two things: Her down-home charm, and her enormous…popularity. 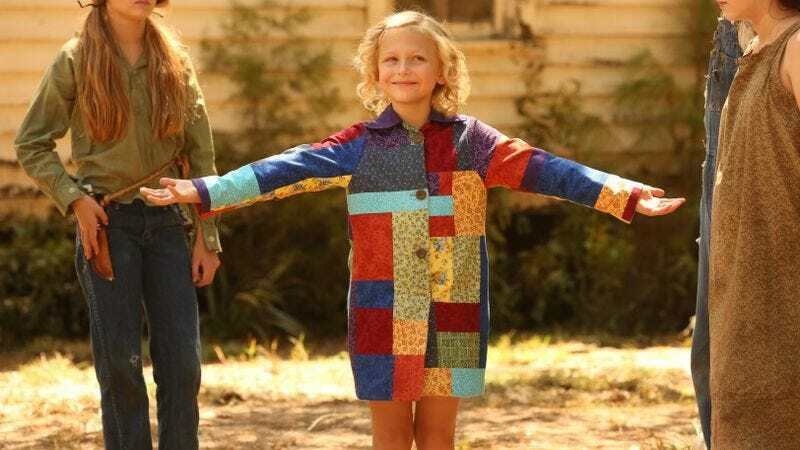 Both those were evident in last night’s broadcast of Coat Of Many Colors, the first in a series of planned TV movies about Parton’s folksy life and gee-whiz times, on NBC. According to Variety, the movie drew 12.8 million viewers to the network, the biggest audience for an original TV movie on a broadcast network since 2012 and the biggest for NBC since 2013’s telecast of The Sound Of Music Live!. As for who, exactly, was watching this toothache-inducing tale of an impoverished 9-year-old in ’50s Tennessee who can never be truly poor because she’s got God, song, and a loving family, The A.V. Club has a couple of ideas. Variety says the audience “[skewed] older as expected,” conjuring up images of little old ladies snuggling up under their afghans with a cup of tea, relieved to finally have something to watch without any offensive swear words or distracting minorities in it. But that can only account for part of the TV movie’s huge audience. Someone who wasn’t planning on discussing it at the ladies’ church social afterward must have watched Coat Of Many Colors—someone, we suspect, who downed a fair amount of wine during the proceedings. After all, The Wiz Live! was actually good, and all of that built-up hate-watch venom had to be spewed somewhere. In other words, there’s only one person who can bridge the divide between earnest fundamentalists and cynical Twitter addicts in America, and that’s Dolly Parton. Esteemed members of the United Nations, we have your next Goodwill Ambassador.